Aside from getting lots of emails from companies for shopping or beauty products that I subscribed, I also get mails about health and fitness such as creatine, diet pills and more. 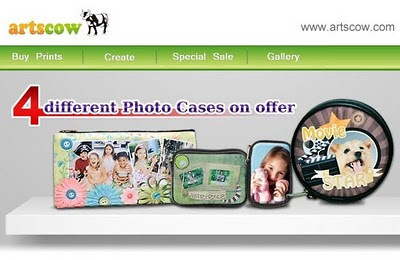 Artscow's newest promo is this photo cases in different styles for only $4.99 and that also includes FREE shipping. A great deal already for you can order any of pencil case, digi cam case and CD cases. I always love personalized items for my personal use and as gifts to my friends and relatives. I personally recommend ARTSCOW, for they have great quality and good prices. I've been ordering from them since 2009. To avail of this promo use CODE: 4PHCASES expires on March 3, 2011.